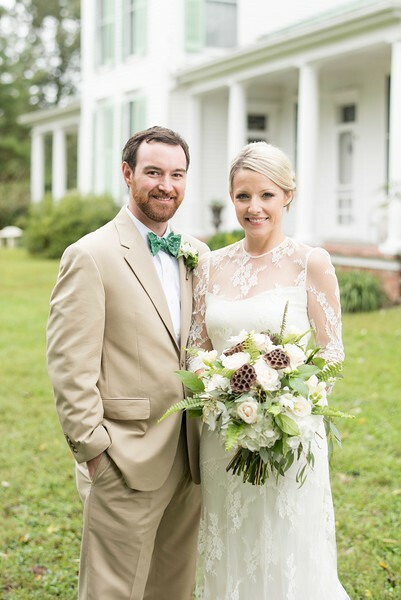 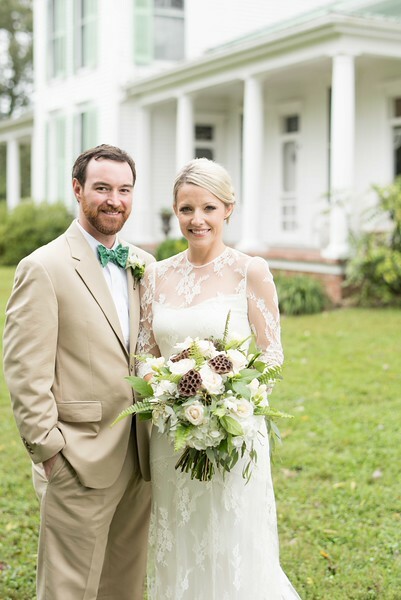 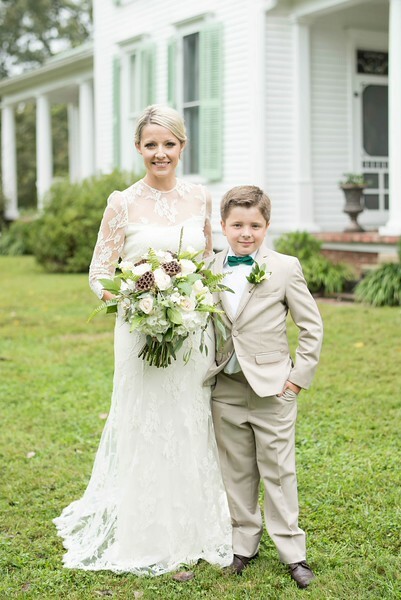 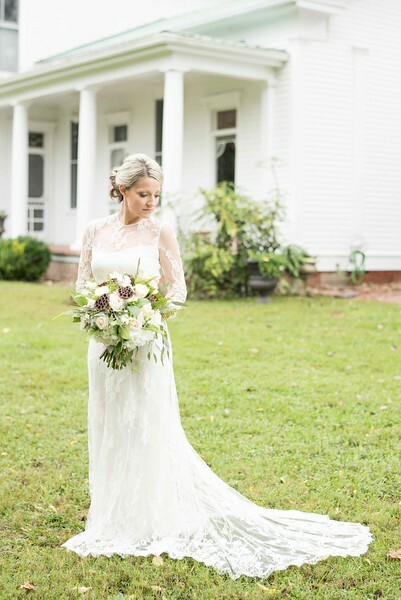 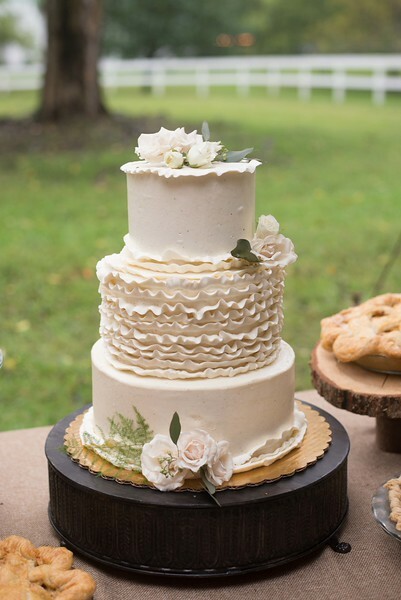 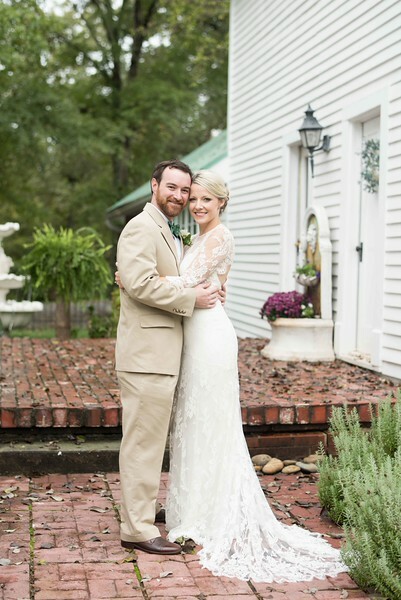 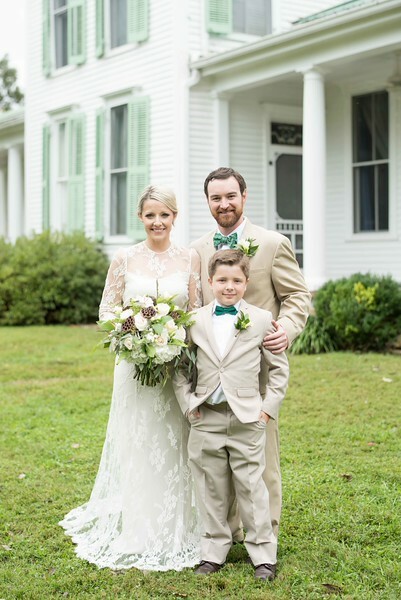 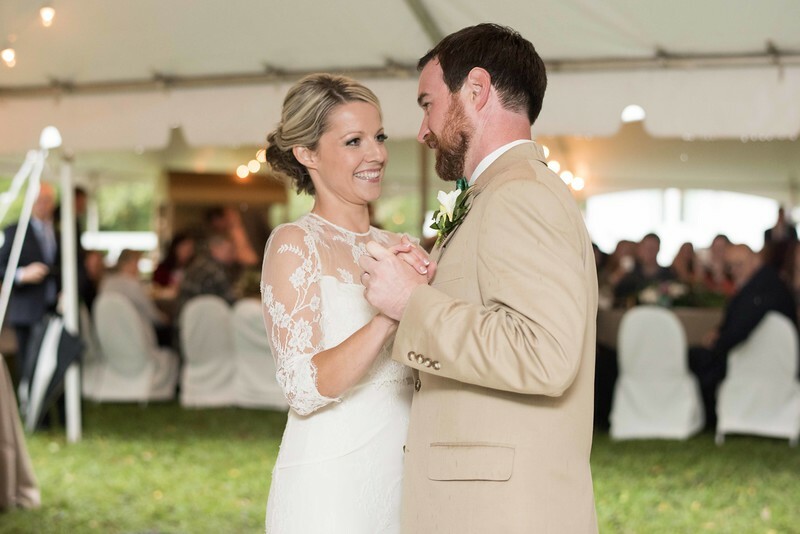 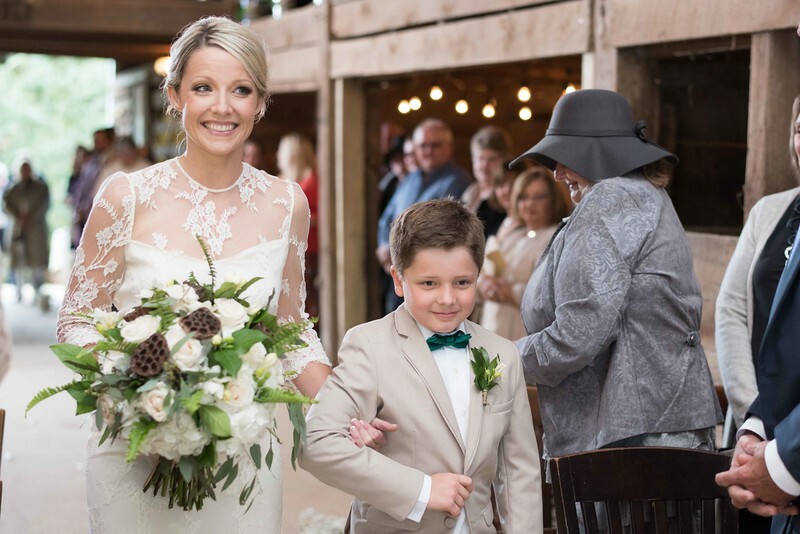 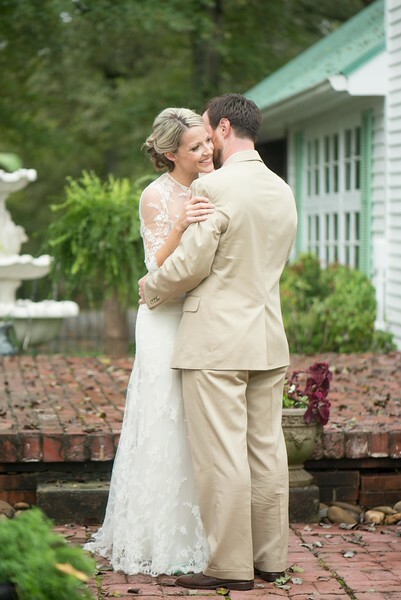 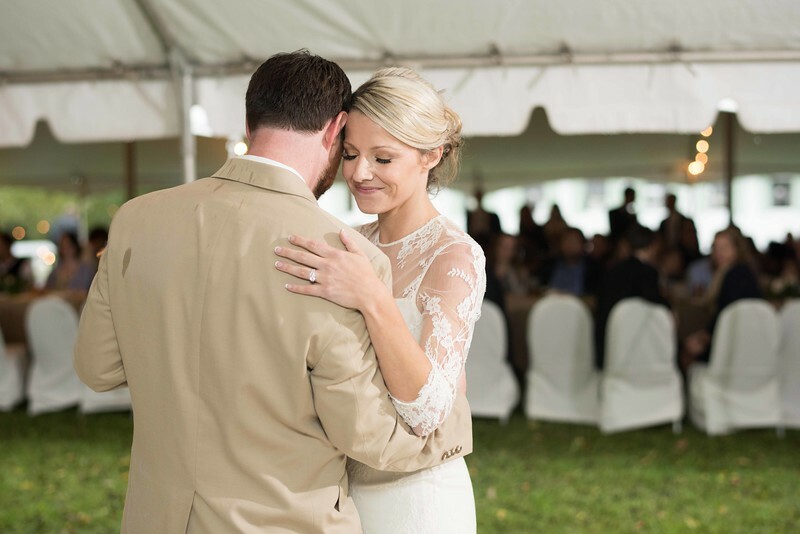 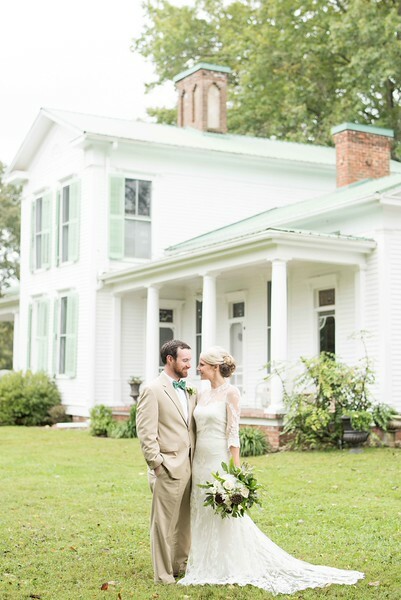 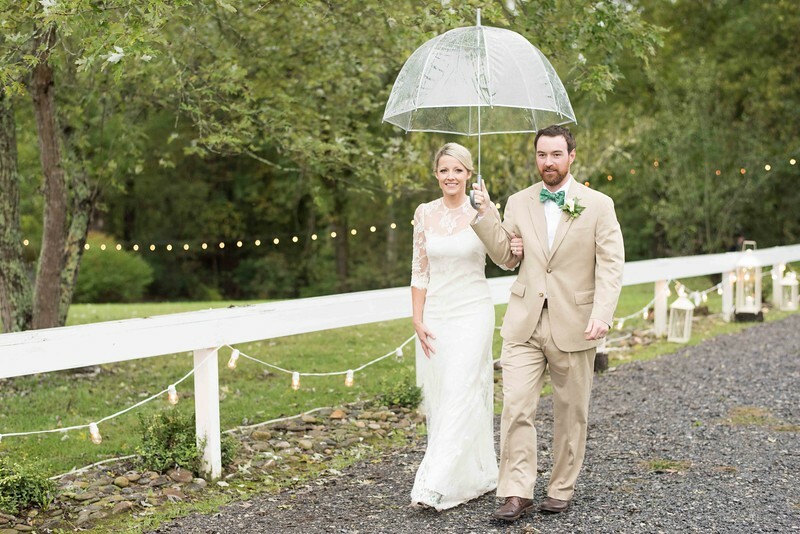 It was a gorgeous southern wedding for Alex and Sheena at the Swann Plantation located in Sevierville, Tennessee. 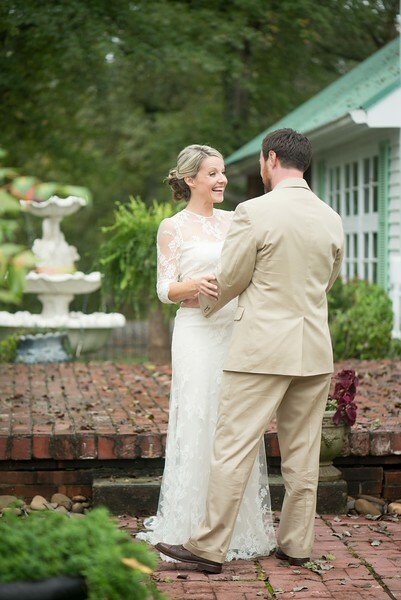 The venue includes a lovely vintage mansion with a beautiful view of the mountains. 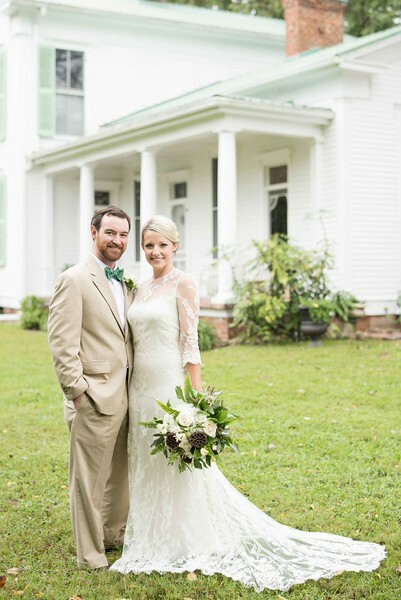 It was built over 130 years ago and every detail is filled with southern elegance and a hint of blissful charm. 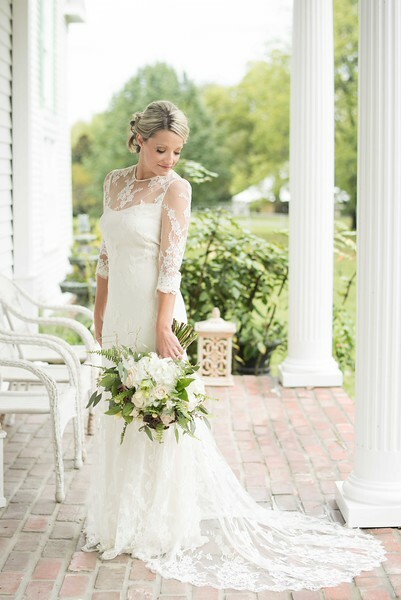 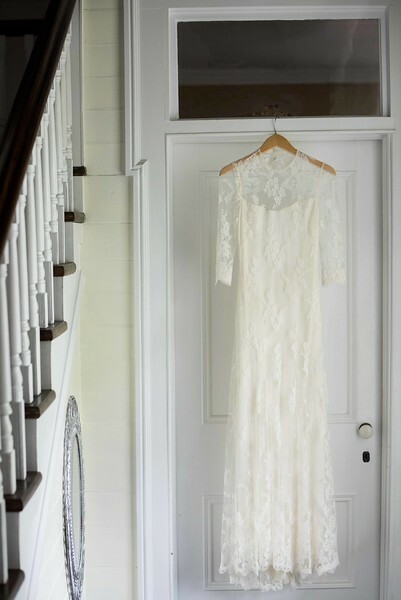 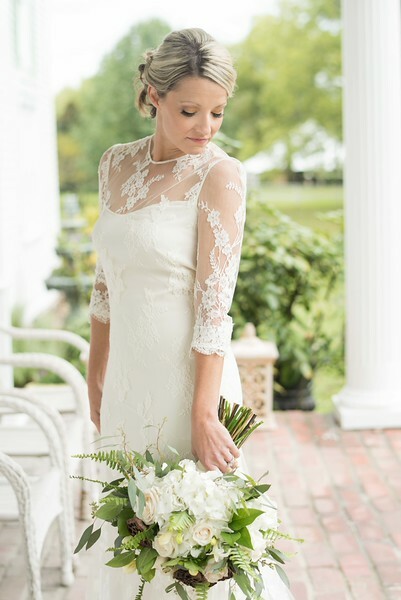 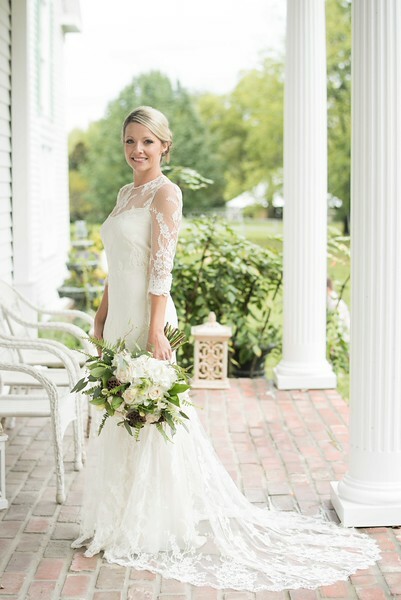 Sheena was a lovely bride in a simple but stunning lace wedding gown. 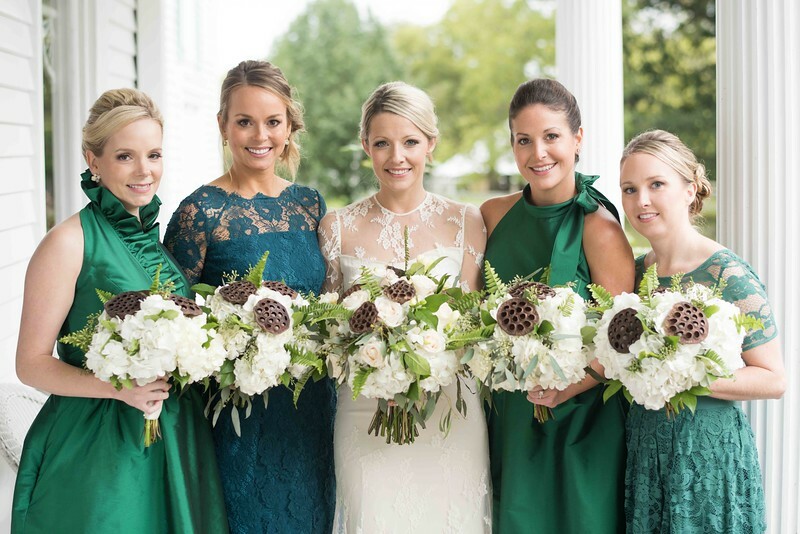 The bridesmaids each wore unique, deep green, dresses. 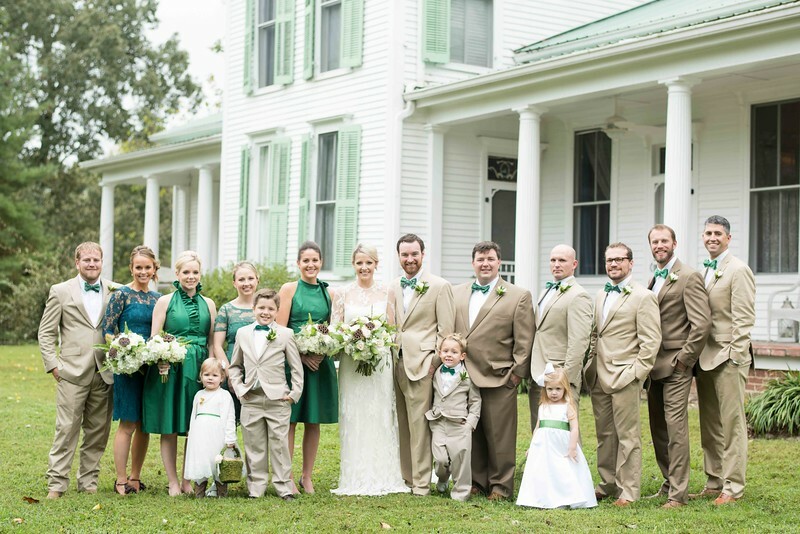 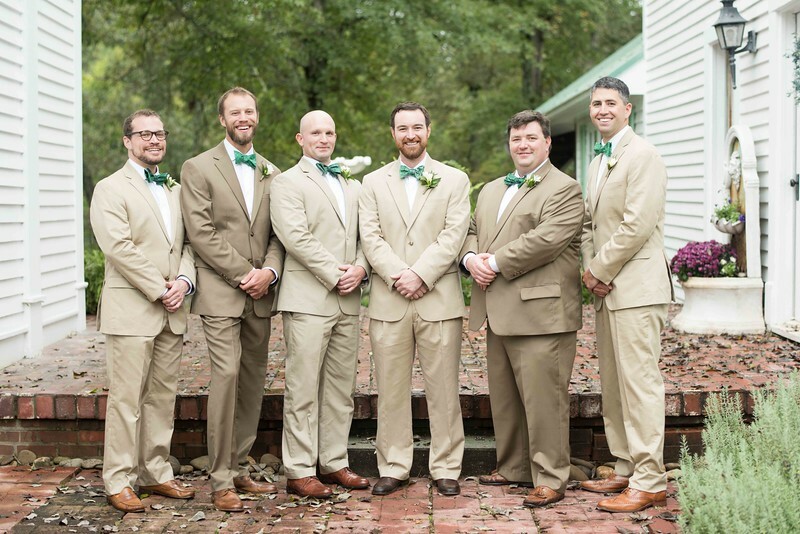 The beautiful greens were complete with the groomsmen in accented bow ties. 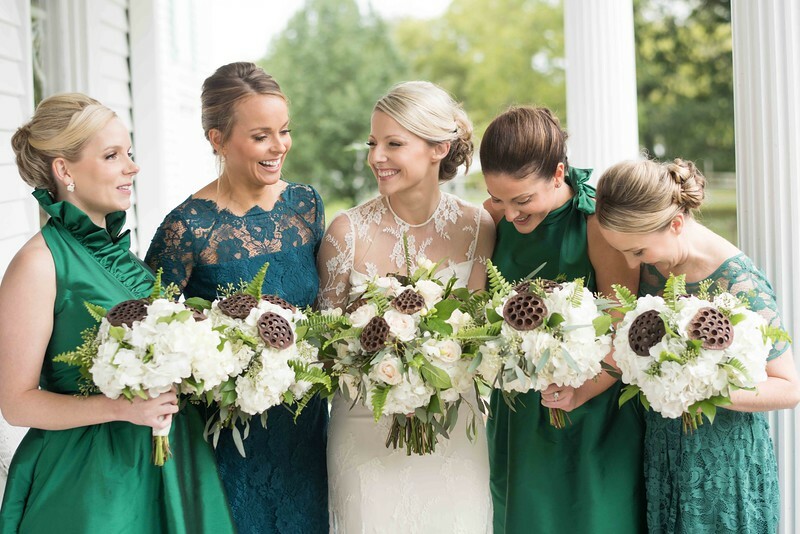 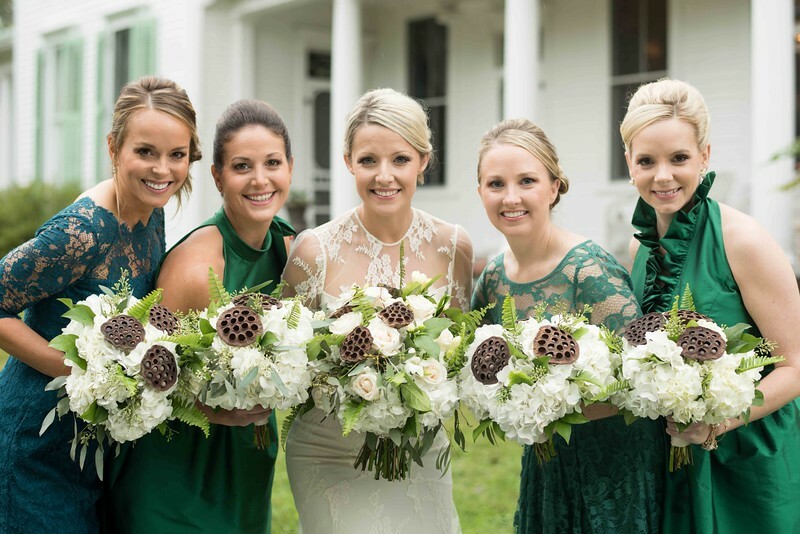 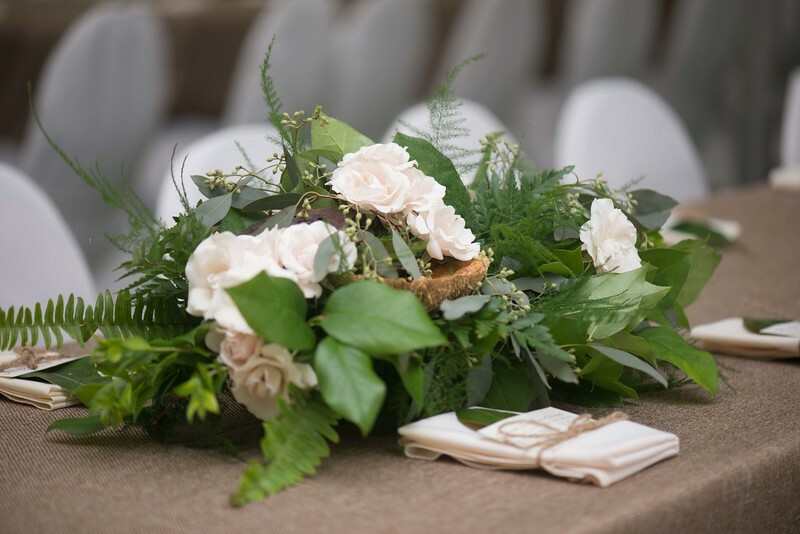 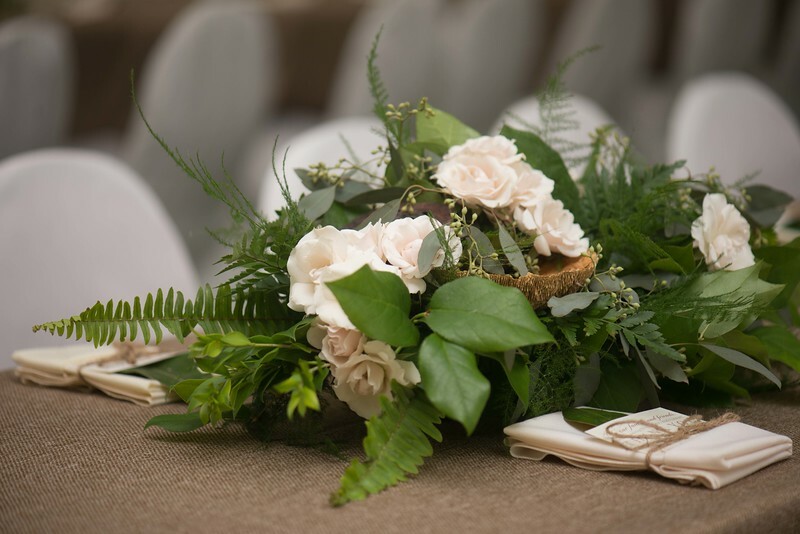 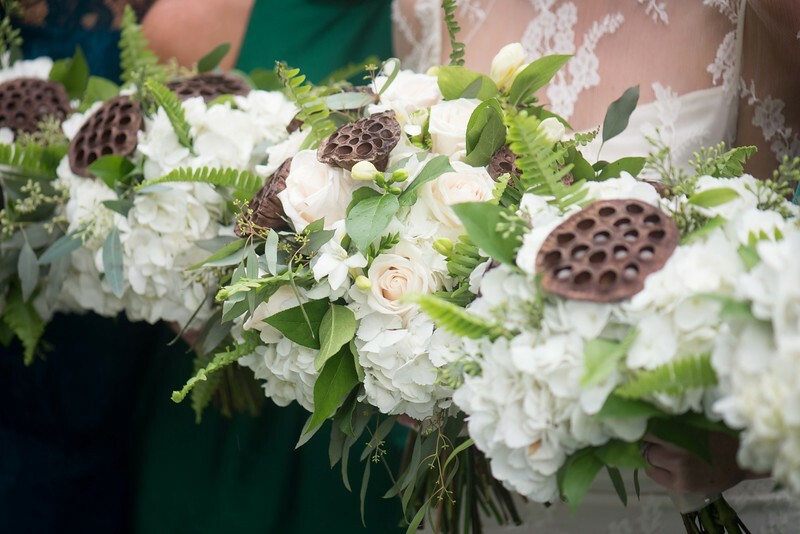 It was a classical wedding filled with hydrangeas, roses, and greenery. 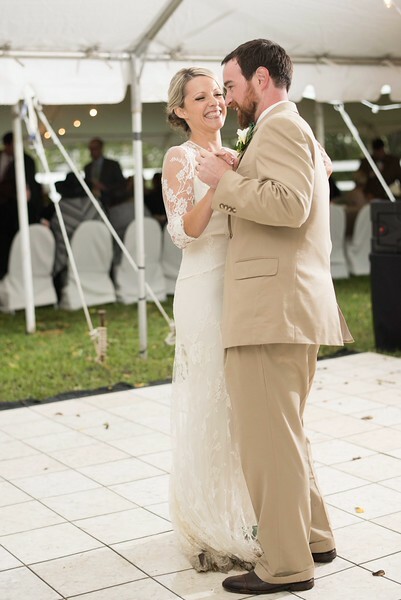 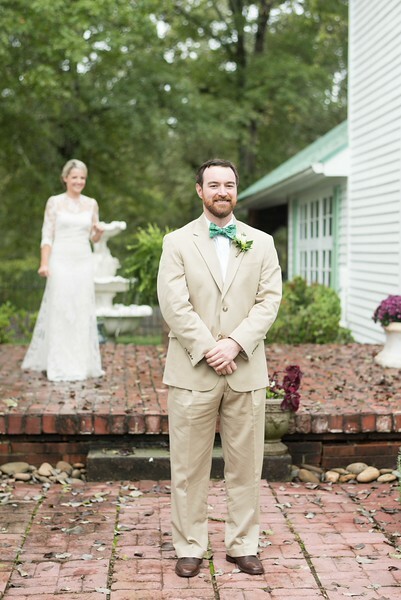 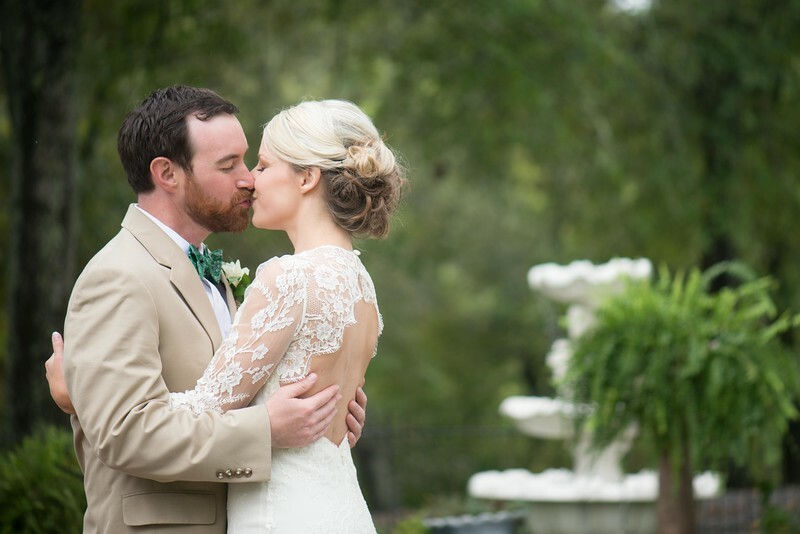 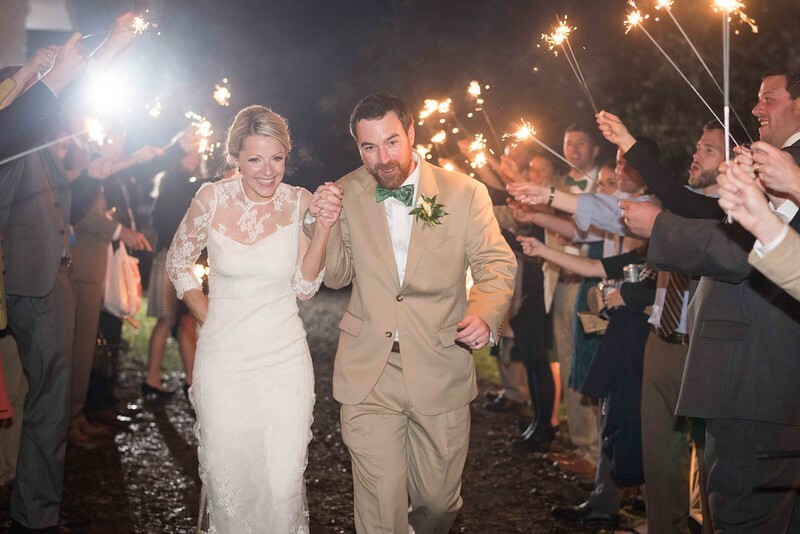 The ceremony took place in the barn on the plantation and the gorgeous reception followed.